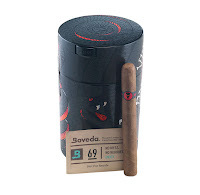 EASTON, PA – Famous Smoke Shop, the leading online distributor of discounted premium cigars, specializing in offering the web’s widest selection of cigars at the lowest prices, has announced the fifth release in their exclusive Vudu cigars series, Vudu Damballa. 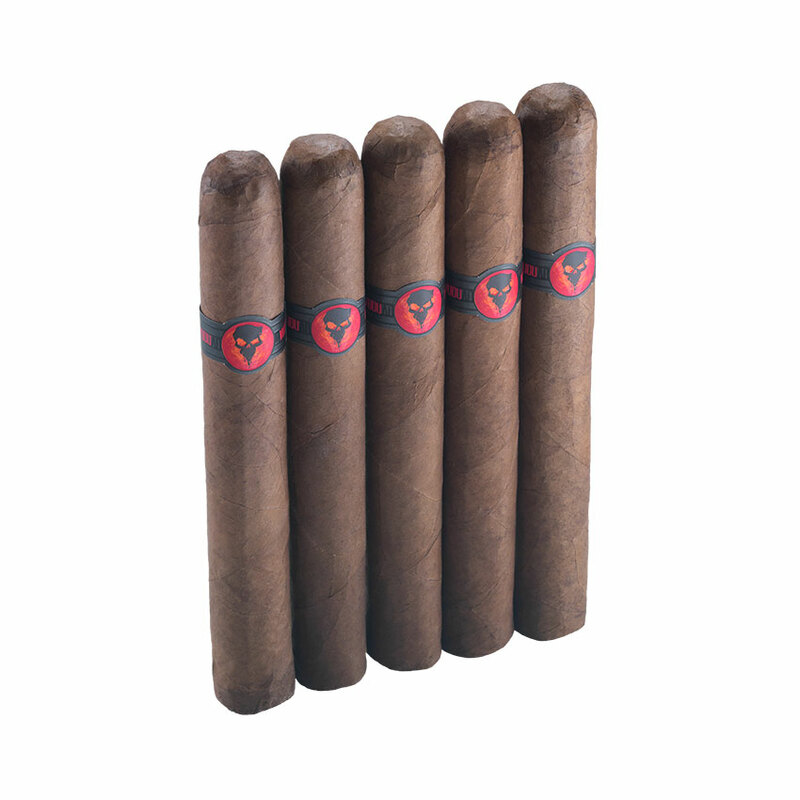 Like its four predecessors, Vudu Damballa comes to retail with very attractive price point, averaging just under $4.50 (MSRP) per cigar. Keeping with the mystical Haitian Voodoo theme that runs through the entire series, Damballa – the serpent spirit Sky Father and primordial creator of all life who rules the mind, intellect, and cosmic equilibrium – is illustrated on the humidor jar packaging with a jet black, snakeskin-like appearance accented by splashes of red and white. In Voodoo culture, Damballa is "The Great Master" who created the cosmos by using his 7,000 coils to form the stars and the planets in the heavens and shaped the hills and valleys on earth. Keeping the series consistent from a blending perspective, Jesus Fuego created Vudu Damballa using equal parts Nicaraguan, Honduran Criollo, and Brazilian Mata Fina long-fillers, bound them in a Brazilian Corojo leaf, and rolled them in a savory, Ecuadorian Sumatra wrapper. 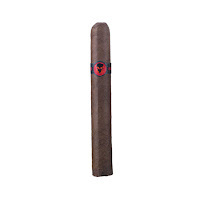 The result is a medium-bodied, full-flavored smoke with a well-balanced, earthy-spicy baseline. After sampling the new blend, CigarAdvisor.com editor, Gary Korb said, "The Vudu Damballa went through some impressive changes, starting off smooth and earthy, as some peppery spice crept in, then faded-out as some roasted coffee notes entered the fray. The pepper returned at several intervals, interchanging with additional flavors along the way, which really held my interest." 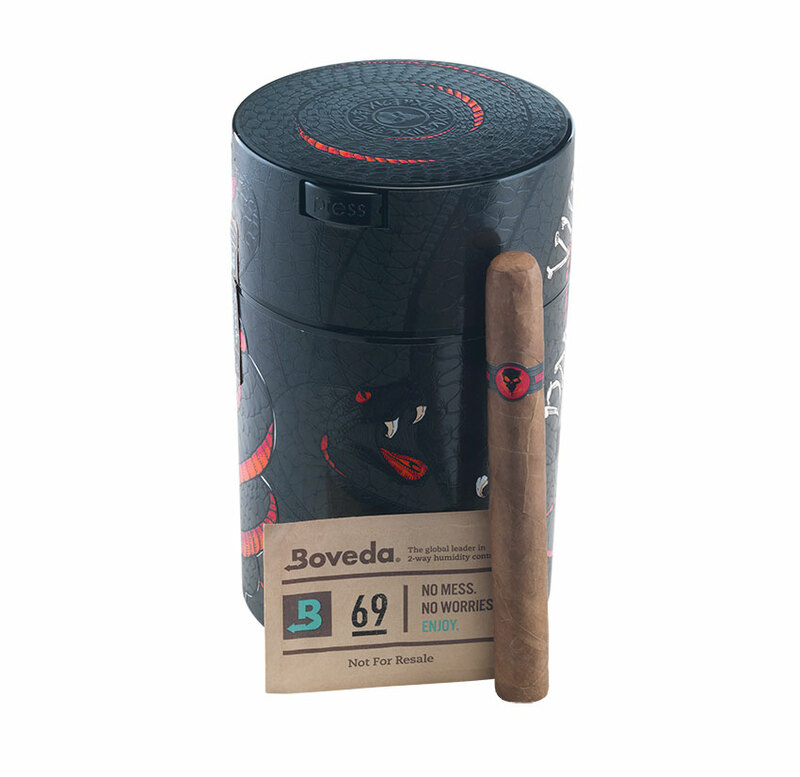 Vudu Damballa is presented in collectable and refillable vacuum sealed humidor jars of 19 cigars, with the exception of the No.13, as well as 5-packs and singles. "Cigar smokers looking for a great value in a well-made, complex smoke with a medium-full character will find the Vudu Damballa very satisfying," added Korb. See more information on Vudu Damballa cigars here.